Sunshine greeted 1020 entrants at the Bank Holiday weekend Wessex Car Show hosted by the Dorset Jaguar Enthusiasts’ Club at Breamore House near Fordingbridge. The 13 vehicle strong club line-up spanned more than half a century of MG production and included a diverse collection of cars from a 1952 YB saloon through the usual ranks of MG roadsters and GTs as well as a strong contingent of Midgets plus an MGB V8, a modern TF and the very latest model from the marque – the new GS. 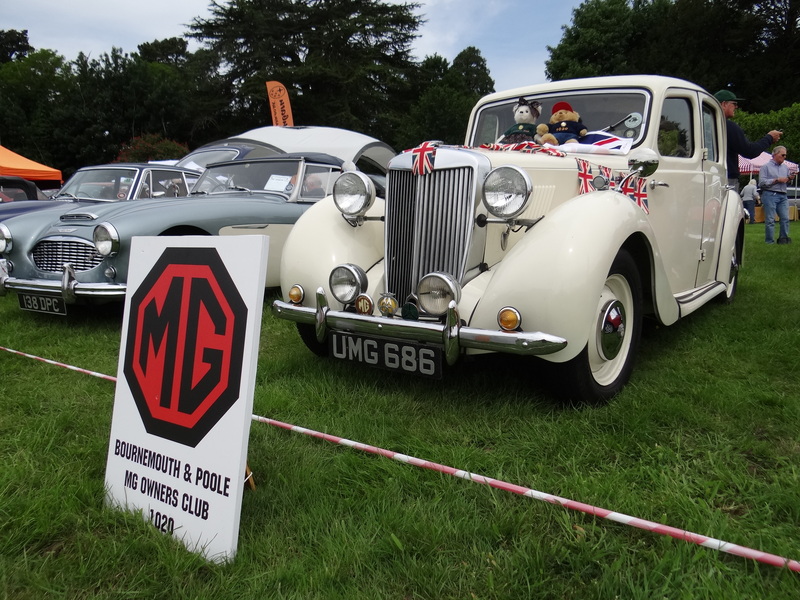 As well as a broad collection of both classic and modern vehicles the show featured an informative falconry display, a marching band, crafts and autojumble stalls, live music and homemade cakes. There were prizes for the best cars in various categories although many people had departed the grounds before this as the threatened heavy rain started to arrive.